Well it’s that time of year for diet plans, end of the world concepts and of course resolutions. 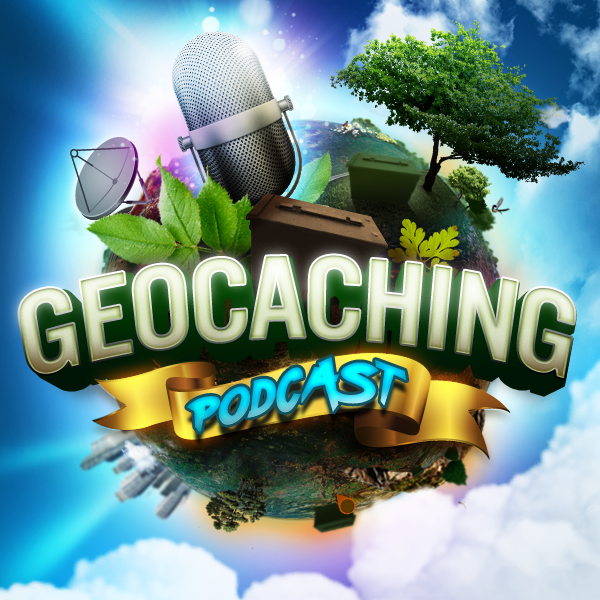 So tonight we pull in a mixed group of hosts to discuss last years geocaching rants and this years resolutions. Should be in for a fun discussion for sure. Some of you have electronically added name tags that include either a picture or an avatar. However I can not make out the details, and I am a bit curious about your choices. Taz, is that a ninja or a swordsman with either the sun or the moon in your avatar? Is there a story behind your choice? Scott, your image shows you wearing a red hat, is the hat significant? Thank you for your answers, the shows, and have a great holiday season. I (and others in the NZ Geocaching community) knew him as waiiti20. I didn’t know him well, but he was a regular at many Wellington events. I realised I’d ‘made it as a geocacher’ when he contacted me for a hint on a cache I’d found and he was having problems with! N.b. the print version of this was the front page of today’s Dominion Post and included the coordinates for his final resting place! Lack of progress with Geocaching.com in general. Rejuvenate our game, sport and obsession – geocaching is dated. Clean up the geo-trash to make way for new geocaches to be placed. Cito our own game even with the result of having less active geocaches. There is a balance where you can promote and voice opinions. Putting out some quality caches worth favorite points to help generate interest in our area. GC still not having great search tools, maps, etc. A lot of great rants already taken here – Poor quality caches put out by newbies is always a good complaint. Reviewers – Is it required to have a stick firmly implanted in ones arse to become a reviewer or what? Putting out a puzzle cache that is as near self explanatory as it can be and then being asked to explain how to solve it per the guidelines (which yes it’s now in the guidelines), and then having to solve what the Anagram because they think it might be a bad word – WTF? It was ‘Insures – Bras Stuck’ and the coordinates are over a Starbucks on Sunrise. Ended up publishing it a day late because of that. I’d hate to see what some of the ones that take a Rocket Scientist to solve have to go through now. Uhmm… Repeat last year’s’ resolution of cutting my open Jasmer in ½ – Already booked a flight to Atlanta to get Lake Lanier on the way to Geowoodstock. People who leave laminated plastic cards in caches, how difficult is it just to sign the log? All they do is clutter up the caches. Pathtags, however are an entirely different matter! And most importantly, not to annoy you guys so much that I get booted off the show! RANTS: cache maintenance and permission – it is not that hard to maintain your caches or get permission. As a cache finder – just log a needs maintenance if one is needed; It is helpful for other cachers. Find less caches, well sort of – actually since our streak is over we will go after more specific caches. We can focus on exactly what we want – extreme for me and also our geodates. Rants: Groundspeak Reviewers “Definition of rules” across multiple states vary as much are there are geocaches. I can hide one type of cache in one state, but that same exact type of cache can’t be hidden in another. Change the rules for people who only write TFTC or use emoji for a digital logging. People that put trash in geocaches as swag. Cease to hide traditional hides, instead only focus on Letterboxes, Night caching and whereigos.